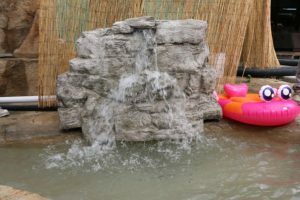 Add the beauty of water flowing over a cascading falls you your Our Back oasis. 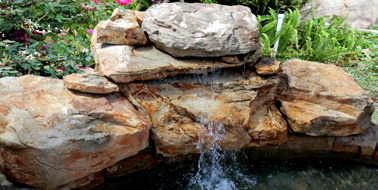 whether you have a pool or pond a waterfall can bring a soothing element of sound to you living space. 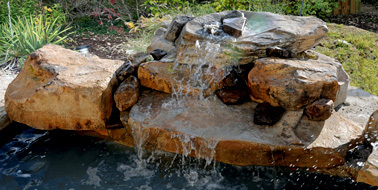 A natural bench with a cascade that works well with both large or small volume of water. 72” long, 36” wide, 11” high, 270 lbs. 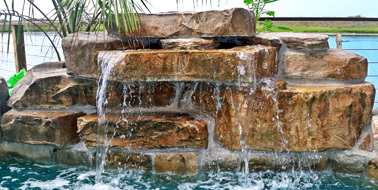 This waterfall features cascades coming from both corners with a wide low profile. 6’9” wide, 3’8” deep, 24” high, / 500 lbs. 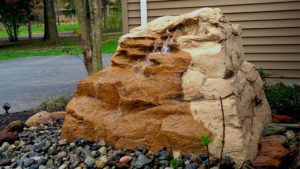 Rounded boulder style waterfall comes with natural cobbles to cover mortar joints. 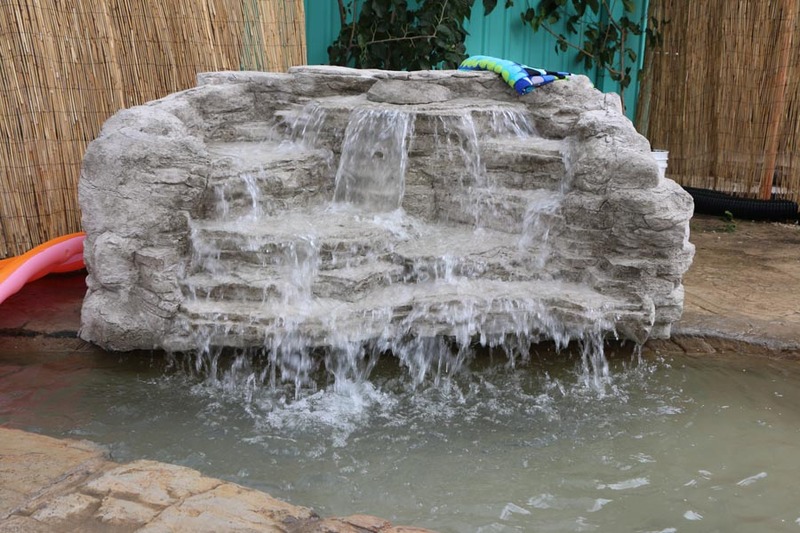 Base pieces have a 3 inch lip so the waterfall looks built in. 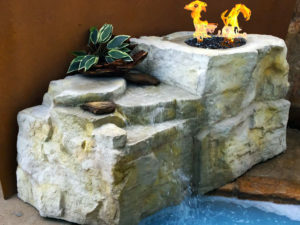 This 3-in-1 rock can be used as a Jump Rock, has a build in Waterfall and has the optional 12” Fire Ring to add life during the evening and winter hours. 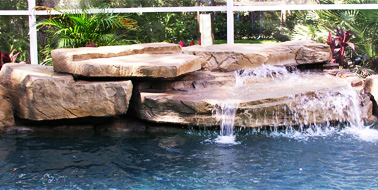 This compact waterfall can add a lot of splash and fit in a tight area. The front lip protrudes 8 inches and is 3 inches thick. 3’9” wide, 26” deep, 29” high, 250 lbs. 5’8” wide, 3’10” deep, 28” high, /500 lbs. 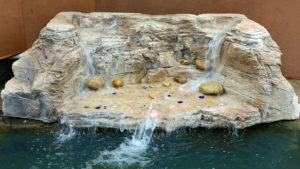 The Taurus combines the Stairway and the Heaven to create a waterfall almost 5ft. tall. Three base pieces allow for installation on a radius. 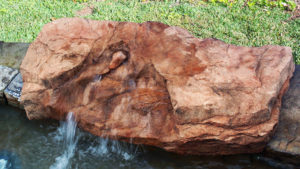 Shown here with optional waterline rock. 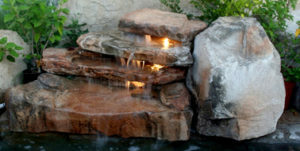 Our most popular waterfall for many years because of the large main ledger piece. Works well with a low or medium water flow (10-40 gpm). 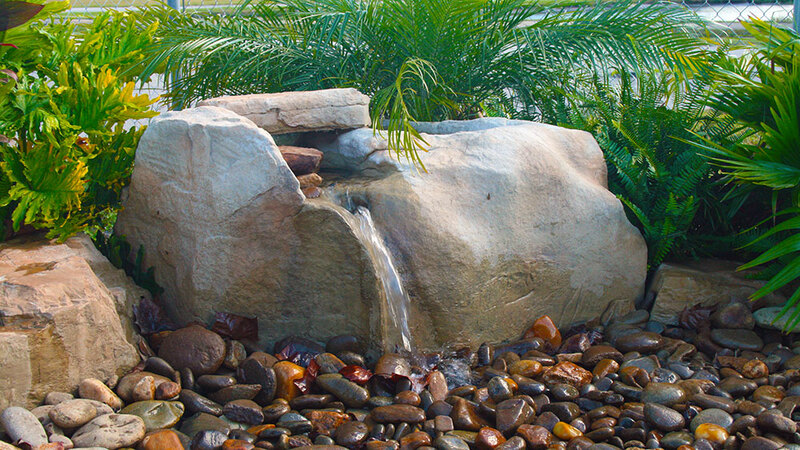 A peaceful trickle of water enhances any patio. 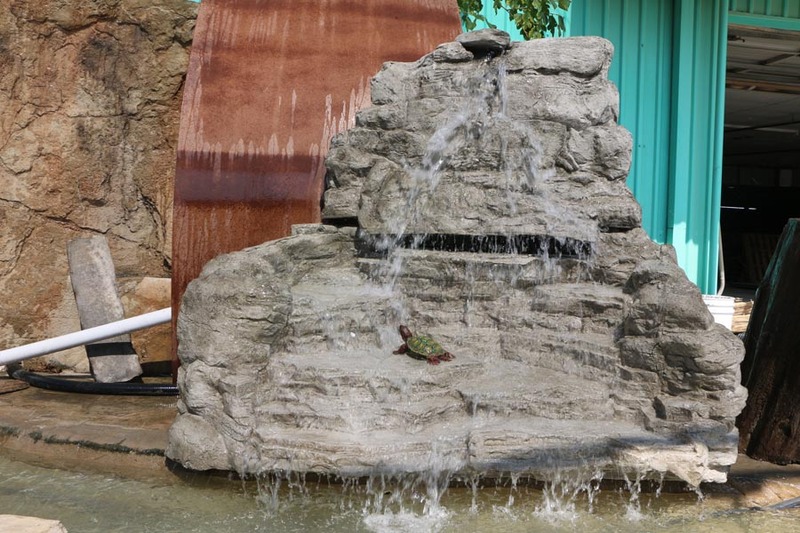 The Wyoming Bubbler and Dakota Cascade were molded from weathered sandstone found on a Wyoming ranch.